We publish ROCKs to meet the need for unbiased science-based information in a readable format. 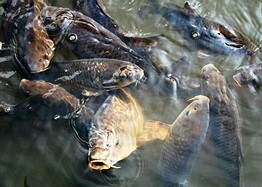 They focus on water-environment topics of general interest. Our policy is continually to revise and add to these ROCKs. A summary, or the complete document (Adobe Acrobat pdf file) may be viewed via the appropriate link. All ROCKs are available as printed booklets (A5 with the exception of the "Green Infrastructure" and the "Floods" Rocks which are A4), priced at £15.00, less 20% to FWR Members. 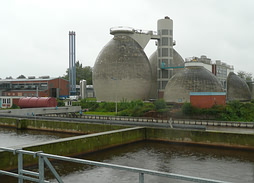 Sewage sludge is an inevitable consequence of sewage treatment. The quantity produced has increased because of regulations requiring additional standards of treatment and because of increasing population. The various ways in which it can be treated, used or	disposed of are discussed as well as the measures that can be taken to	ensure no adverse environmental or health effects. Eutrophication is the enrichment of natural waters with plant nutrients, largely derived from man’s activities. This disturbs the balance of aquatic life and results in poor water quality. 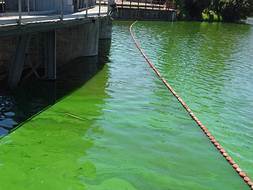 The review explains the causes of eutrophication, the various impacts, and the legislation and initiatives that are being used to control the problem. Endocrine disrupters are chemicals that may interfere with hormone systems. 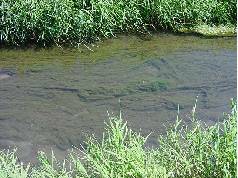 Some effects have been seen in certain marine and freshwater organisms, such	as fish downstream of sewage treatment works. The review explains what endocrine disruption is and which chemicals have been questioned. There is a discussion of the risks for the environment and for human health compared with other commonly encountered risks. Legionellae are rod-shaped bacteria that can cause Legionnaire’s disease, an acute form of pneumonia. They occur naturally in fresh water, sea water and moist natural environments throughout the world. They prefer warm water, hence most outbreaks of Legionnaire’s disease are associated with cooling towers, evaporative condensers, hot and cold water systems and spa pools. The review explains the growth of the bacteria in water systems, the maintenance factors affecting colonisation of cooling water systems and the efficiency of biocides and other control agents. Cryptosporidium is a waterborne parasite, which can cause an unpleasant illness called cryptosporidiosis. The symptoms are diarrhoea, mild abdominal pain, nausea, vomiting, mild fever and fatigue. Outbreaks of cryptosporidiosis have been caused by poor hygiene, contact with farm animals, contaminated drinking water and contaminated swimming pools. The review summarises the incidence and principal causes of the disease, and the measures employed by UK water suppliers to prevent infection via the water supply route. Like Cryptosporidium, Giardia is a parasite, which can cause an unpleasant illness referred to as giardiasis. The symptoms are acute diarrhoea, abdominal cramps, bloating and excessive flatulence. 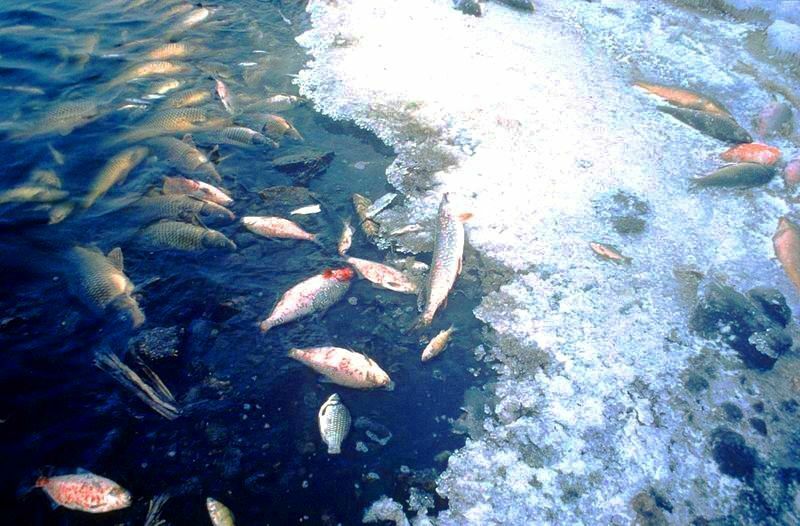 Outbreaks have been caused by contact with farm animals, contaminated drinking water, contaminated food and contaminated swimming pools and other recreational waters (rivers and lakes). The review summarises the incidence and principal causes of the disease, and the measures employed by water suppliers in the UK to prevent infection via the water supply route. The aim of this review is to assist practitioners to diagnose the many different types of corrosion failures, which can occur in copper plumbing systems and help to avoid them occurring. It is not meant to be a substitute for expert opinion in serious cases. It outlines failures which can occur in both hot and cold domestic water systems (not closed central hearing systems) and describes many different types of copper corrosion, covering manifestation, cause and how they can be avoided. As a consequence of subsequent and more recent legislative changes this Rock has now been withdrawn. It remains obtainable by special request. Cyanobacteria (blue-green algae) are natural inhabitants of fresh, brackish and marine waters and are of worldwide distribution. They produce a diverse range of small molecules (cyanobacterial toxins: cyanotoxins) which are hazardous to human and animal health. The sources and properties of these toxins are briefly reviewed. Examples of the adverse effects on human health, domestic animals and wildlife are given. Reactive and proactive measures and further needs in this context are presented. The reduction of cyanotoxin problems in natural and controlled waters as a potential benefit of eutrophication control is also discussed. We all use chemicals in the home and in gardens. Some chemicals, such as	cleaning agents and detergents, may be discharged directly and legitimately to the drains and hence enter water bodies. 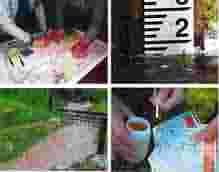 Others, such as paints, solvents or surplus pesticides, may be disposed of with	little consideration for the environment, and may pose a risk,	especially in the long term. 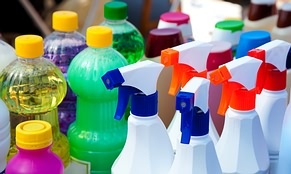 This review considers the risks that household chemicals pose to the aquatic environment and the means of controlling these risks. This review describes how drainage systems in urban areas developed in order to understand how we have got to where we are today and how systems can be developed to cope with increasing urban populations and changing weather in the future. It covers the issues concerned, including sustainability. If it all goes downthe drain, it has to be pumped and treated. Handled appropriately, surface water could be a less expensive alternative than opening new resources when weather stresses the existing ones. This review addresses man-made reservoirs that provide water storage and other benefits such as hydroelectric power, flood control and navigation. In many areas the life span of reservoirs is determined by the rate of sedimentation, which gradually reduces storage capacity and eventually destroys the ability to provide water and power. This review considers overall water resources and usage, the world stock of reservoirs, the problem of sedimentation and possible measures to minimise the impact of sedimentation. The	scarcity of existing fresh water supplies is becoming a problem in many parts of the world. 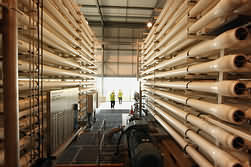 In some areas a process called "desalination” is	used to reduce the salt content of brackish and sea waters to turn them	into a drinkable supply. This review explains what makes a water drinkable, the various processes used for desalination and their costs	compared with the costs of conventional water supplies. This ROCK, which has about 200 references, considers the breadth of benefits that urban green infrastructure can play for managing surface water with examples from many countries around the world where the authors have seen GI working and/or discussed it with people who have implemented GI for surface water management. storm-generated waves at the coast. 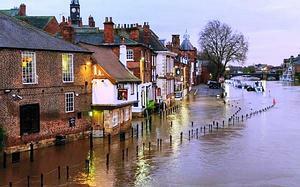 The main factors which need to be considered regarding flooding include technical, social and governmental aspects. This ROCK aims to provide a concise description of these factors on a worldwide basis but with a more specific European and UK focus. This review is concerned with the role of water as one of the many sources of energy. Other major sources include solid fuels, oil, natural gas, nuclear, biofuels and waste, together with smaller contributions from geothermal, solar, wind and heat. 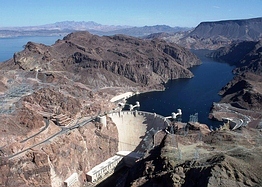 Hydropower, power from water, makes a relatively small contribution towards the overall provision of worldwide energy. By far the largest energy supplies come from solid fuels, oil and natural gas. Hydropower, however, plays a more significant role in the direct provision of electrical energy, 16% of the total world production in 2010. Water and food are inextricably linked as significant quantities of water are required to produce our food. Water is fundamental to agricultural production: crops require water to grow; livestock require water for drinking and hygiene; and farms need water for operations and processing. Inland fisheries and aquaculture cannot exist without freshwater. 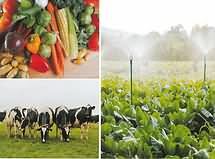 The water consumed in food production is either sourced directly from precipitation or from soil moisture (green water), or withdrawn from aquifers, streams and lakes (blue water). Hydrometry embraces the measurement of all the elements in the hydrological cycle including surface water flows, groundwater movement and associated phenomenon such as sediment movement and morphology. This ROCK concentrates on a major element within hydrometry, namely the measurement of free surface flows. It does not cover flows in closed conduits and pipes although some of the methods described can be used for these applications. 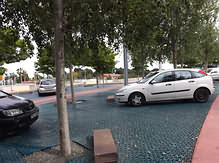 This ROCK focuses on hard Sustainable Drainage (SuDS) infrastructure, particularly pervious paving systems (PPS), infiltration trenches and rainwater harvesting, discussing their role in the “SuDS triangle”; also covered are the ways in which they can mitigate and adapt to climate change, and address the Urban Heat Island Effect. This review aims to clarify the competing definitions of NWRM and to scope where these measures fit in the context of the Water Framework Directive, other related policies and regulations, and climate change policy. It will outline what the key measures are and will provide some understanding of their evaluation for assessing the technical and economic potential of NWRMs in the UK and elsewhere in the EU. This Review of Current Knowledge (ROCK) highlights issues related to monitoring and understanding the complexity of river catchments which are subject to multiple pressures. 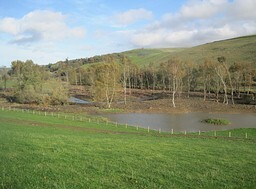 It details how countries, such as the UK, are beginning to manage catchments on a local level with involvement of local people. 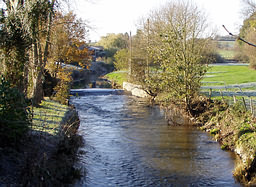 Case studies are also presented to emphasise how we are now within exciting times due to the rapid growth in technology and communication facilities, which can and should be utilised in innovative ways (and to our advantage) to support the management of river systems. This review of current knowledge (ROCK) is concerned with the movement of sediments in the freshwater environment, an important subject but a very complex one. The ROCK provides an outline of the subject and a description of some of the principles used in the analysis of the many complex processes. However, for details of the analytical methods it is necessary to consult major text books on the subject. This review aims to create a more coherent and integrated understanding of how water metering, through smart meters in particular, can affect domestic demand for water. It also considers the influence of additional factors that serve to shape the effectiveness of metering technologies. It is important to note that the contextual and governance focus of this review, whilst centred on the UK, does draw upon research and information that is more global in scope. 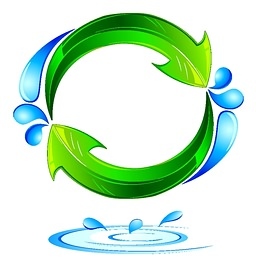 This Review sets out the facts (and perceptions) and aims to clarify some of the most common questions that people have about ‘water reuse’. 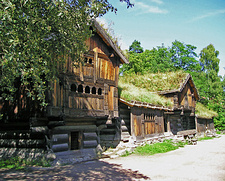 It explains the differences between the very small scale and very large scale schemes, the differences between reuse to create non-potable and drinking water, the types of technology used, actual and perceptions of risk, how reuse schemes are regulated and risks managed and finally, an explanation of the energy and other resource requirements of reuse and the implications of these on cost. This review is concerned with the movement of sediments in the marine environment. This is an important subject with influence on all nations with a coastline. The review provides an outline of the subject and a description of some of the methods used in the analysis of the many complex processes. However, for details of the analytical methods it is necessary to consult major text books on the subject. 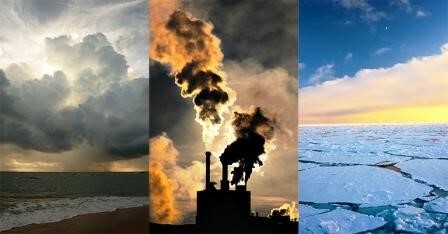 The subjects of climate and climate change are enormous and embrace many scientific disciplines. This review seeks to deal solely with the scientific evidence and is based heavily on the work of the Intergovernmental Panel on Climate Change (IPCC). The review sifts some of the more important fundamental issues and provides a bibliography for those wishing to take the subject further. With ever-increasing quantities of plastic being manufactured and ending up in the environment, understanding the consequences of this will be critical to ensure the protection of ecosystems and freshwater resources. This review looks at the sources, abundance, transport, behaviour, fate, associations with chemicals, and ecological consequences of microplastics once they reach freshwater systems. There are many questions which remain to be answered and it is therefore a priority area for future research. 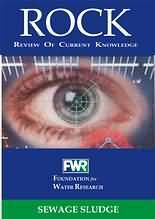 In 2011 FWR published a review (ROCK FR/R0015) entitled ’Floods, alleviation, protection, response and risk management’, that was wide ranging and provided a concise description of the main factors which need to be considered regarding flooding. The purpose of this current review is to focus more closely on flood mitigation, including resistance and resilience, accepting that absolute protection against all future flood events cannot be guaranteed. 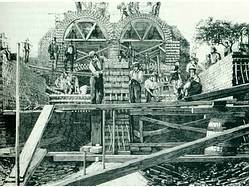 Remediation by physical, chemical and ecological methods. The presence of waste plastic in the surface water environment has developed into a serious problem. It is not only unpleasant, but is a threat to sea birds, aquatic mammals, fish and ultimately to human health. The topic has captured the media and public interest. Among this avalanche of media concern, this ROCK seeks to explore the present problem in the surface waters of the planet and to review information on our behaviour and potential solutions.